“Freedom of speech and expression is not absolute. The concept of social interest has to be kept in mind when considering reasonableness of a restriction”. A two Judge Bench of the Supreme Court of India Today upheld the Constitutional Validity of Sections 499 to 502[ [Chapter XXI]] of Indian Penal Code relating to Criminal Defamation. 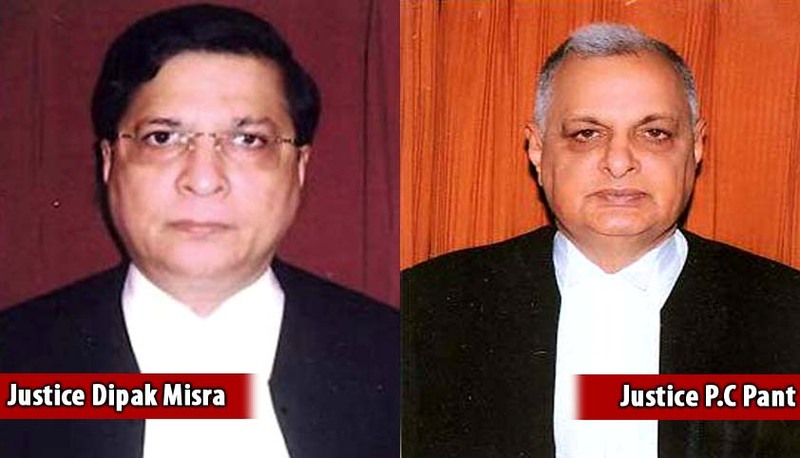 The Bench comprising of Justices Dipak Misra and PC.Pant held that the right to Life under Article 21 includes right to reputation. The Bench has dismissed the Petitions filed by Subramanian Swamy, Rahul Gandhi and Aravind Kejriwal challenging the law relating to Criminal Defamation in India. "In view of the aforesaid analysis, we uphold the constitutional validity of Sections 499 and 500 of the Indian Penal Code and Section 199 of the Code of Criminal Procedure. During the pendency of the Writ Petitions, this Court had directed stay of further proceedings before the trial court. As we declare the provisions to be constitutional, we observe that it will be open to the petitioners to challenge the issue of summons before the High Court either under Article 226 of the Constitution of India or Section 482 CrPC, as advised and seek appropriate relief and for the said purpose, we grant eight weeks time to the petitioners. The interim protection granted by this Court shall remain in force for a period of eight weeks. However, it is made clear that, if any of the petitioners has already approached the High Court and also become unsuccessful before this Court, he shall face trial and put forth his defence in accordance with law". The court also reminded the petitioners about the reasonable restriction in the Freedom of speech and expression. Challenging constitutional validity of criminal defamation law the three leaders contended that rather than protecting individual reputation, these sections have a chilling effect on free speech. The decision meant that the defamation cases against the three leaders will be revived and they must contest it in the lower courts. Earlier the SC had stayed them. Arguing for retention of criminal defamation in the Indian Penal Code , Attorney General Mukul Rohatgi had said that punitive provisions are more relevant in modern times in view of the wide sweep of Internet and social media where every statement can reach millions of people.